According to the latest news that can be gathered from the world of Smartphone is that the Chairperson of the HTC group has tweeted on the official availability of the android 4.3 and the sensor 5 in the EVO 4G LTE. This is certainly one of the most hot and happening news for all the people who have the slightly old version of HTC 4G LTE. It was high time that HTC should show some lights on their other devices. So, in quick time HTC was there with the update for the 4G LTE to offer something new to their existing customers. HTC has always given all their updates for HTC One. 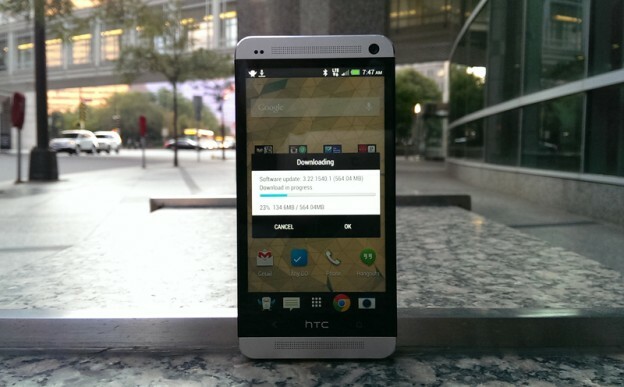 The earlier news of the updated version of Android 4.3 was made official for HTC one. Being one of the top rated sales products, HTC has always thought about some new innovations and updates with the HTC One. Be it the android version to the 4.3 or improving the sensors bar to sensor 5, it was always the HTC One in the limelight with getting all the focus. Many a times, the other versions of HTC owned customers were often feeling that the other devices were totally forgotten by HTC. But, to prove all wrong , or may be understanding the heat of the market the HTC chairperson finally declared in his official twitter account about the launch of the updated Android version to 4.3 and sensor 5 . This is expected to be rolled out to the users by the end of this year. With almost few month left, this seems to be quite an alluring time for the HTC to catch up with the customers using their other devices. Although there have been no such clear announcements on the date as to when the existing customers will get to use this feature on their phone. At present the HTC seems to be very much engrossed with the droid series. They are in huge hopes with their Droid project. So there seems to be no such hurry in the minds of HTC, or maybe they are looking for some developments to make in with the year end. Though some users were upset, as there was some update made by the HTC recently, which was taken in good support and many devices of the 4G LTE faced issues. The 4G LTE of HTC sailed to the consumer market around a year ago. At the time of its sale it was offering Ice-cream sandwich version of android out of the box. But with the latest browsing systems improving and the more improved apps and user interface coming into packaging, the HTC needed to offer their customers some updates so that the users can still hold on buying the 4G LTE with the latest technologies pre-loaded in it. Thus with just three more months to wrap up the year, it is quiet expected that the wait will be not a prolonged one, and the users will see the updates quiet soon.